Spain is one of the best vacation spots because it can appeal to nearly any type of person. There are plenty of rugged outdoor events, spectacular shopping opportunities, jaw-dropping architecture, and the most scrumptious food one can imagine. Simply create a travel budget, gather all the right travel documents, and scurry off to enjoy all that this amazing country has to offer. The emergency plan is really important. This is where your budget for medical emergencies and loss or theft of money. It is helpful to also know if family back home can help you if you need extra money while abroad. 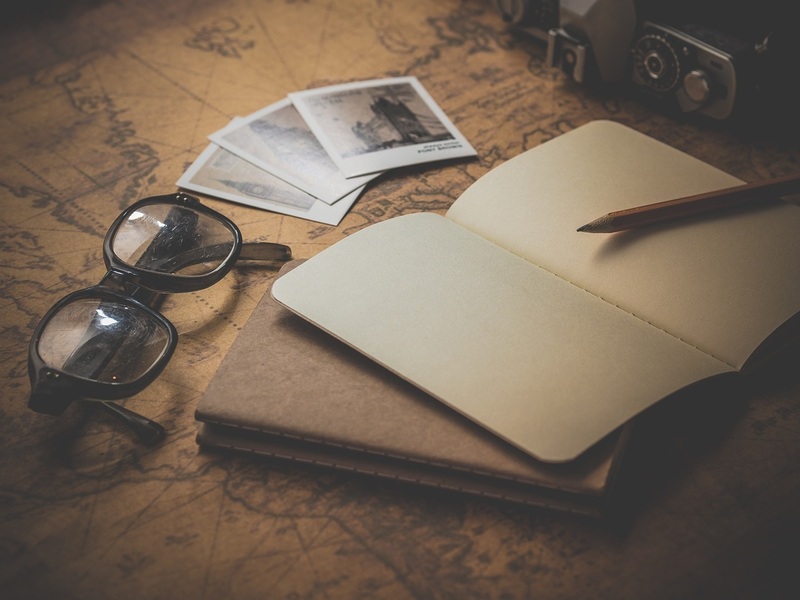 Having a full emergency plan including who can help and how they can send the money, such as through Ria Money Transfer Spain is the key to ensuring a fun trip regardless of setbacks along the way. This can give you a bit of peace of mind, but hopefully, you won’t have to enact the emergency plan. 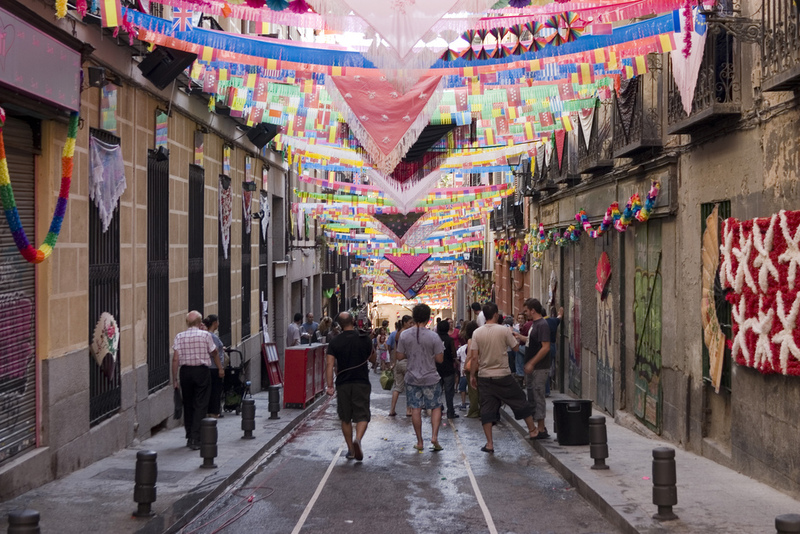 If you really want to enjoy some amazing shopping, we recommend making El Rastro Mercado your top priority. This bustling open-air flea market is situated along Plaza de Cascorro in Madrid and is host to both used and new items. The main strip features a lot of new clothing options but it’s the side streets that will reveal some of the best treasures one can find. Imagine the opportunities to own some antiques that you cannot find anywhere else! This market is open every Sunday and every public holiday from 9 am to 3 pm, and you can use the subway to arrive. It is advised to take precautions to keep your wallet and/or purse as there are incidents of pickpocketing. Pamplona is a beautiful city in Navarre that everyone should visit at some point in life. The architecture is amazing and the history is empowering. The one event it is most famous for is the Running With The Bulls. It looks dangerous and thrilling but is also rooted in religion. 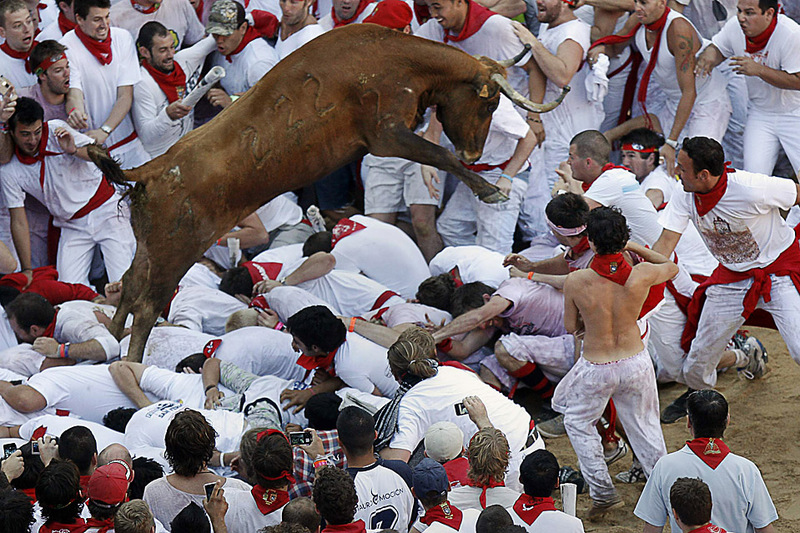 This event occurs during the Feast of San Fermin, the co-Patron of Navarre. It is a week-long event that includes lots of singing, rockets soaring into the air, dancing the waltz in a parade, and a procession for the statue of Saint Fermin through the streets. If bull running is just too thrilling for your blood, perhaps enjoying a tomato throwing festival would be more appealing? YOU BETTER BELIEVE I DID THAT! In Bunol of Valencia, there is a La Tomatina festival that could be one of the most inclusive and enjoyable festivals that highlights the tomato. Originally, the food fight was banned by the city but soon embraced it’s quirkiness and decided to make it a fantastic street festival. These are just a few things you could do in Spain. What would you want to do? Is there some amazing event or locale we didn’t mention? Let us know your thoughts! I have been to Spain twice and loved it. Saw the running of the bulls -it was a lot of fun! You’re so right! And one of the best places is Barcelona. Omg I love Spain and its wonderful people! I absolutely adore Spain. It’s one of the most beautiful countries in the world. Thanks for sharing such an inspirational post with us! fantastic blog about Spain. i like your blog. best images sharing. thank you very much. Acho a corrida de touros muito agressiva, mas pode ser divertida vista à distância. Já o festival do tomate pode provocar boas gargalhadas. Spain is absolutely beautiful! Thanks for sharing! If I am going to Spain, the first place I want to go and see it with my own eye is the El Rastro Mercado. In my opinion, if anyone wants to go to Istanbul, you should go to the site below. An incredibly beautiful and secure site for the Istanbul tour. Spain is my favorite place.. Always want to visit this beautiful place. You captured ultimate pictures of that place. Your post is really very awesome. Thank you. Such an informative post. Thanks for sharing. If anyone is planning to visit India, you must definitely visit Kerala. Its such a beautiful place and everyone would love it. Feeling difference to spent time of my life in spain. Because it will provide me tremendous unknown features and unseen pictorial valley of that country. It will also turn me into apure natural atmosphere from the din and bustle of my daily busy life. I am happy reading this great article. As I have lived in Spain for a long time and I’ve gained a deeper understanding and respect for the Spanish culture.In fact I’m just in love with Spanish culture. Amazing i really like your post and i feel happy get a chance to know about best things to do in spain. Hi there, I’m Matthias and have enjoyed reading your article about Spain. We live in Belgium and have visited Spain many times, but these tips are nice to read. 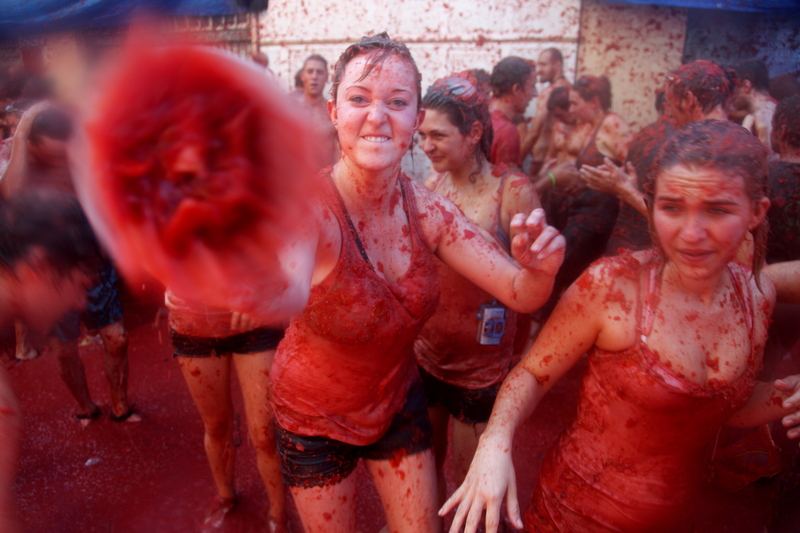 La Tomatina looks so much fun, didn’t know that there are certain rules like squeezing the tomatoes first. If you are a Game of Thrones fan than visiting the Alcazar in Seville is very interesting. It’s the place where they filmed everything for the Kingdom of Dorme. Certainly beautiful. Spain is one of the few countries I would like to live in! Unfortunately, every time I went, I missed the bullfights. I would have been curious to see a corrida live. Spain is an incredible country, we’ve only ever been on short trips but next year we get a whole lot of time to explore it properly! La Tomatina is so high on our bucket list too! Very interesting! I’ve been to Spain several times, including Barcelona and the Basque Country. One thing I would add to the blog would be the pintxos and tapas. Definitely one of my favorite things about the country is finding a great tapas place on the backstreets. Can’t wait to go again! Alfredo Bernal recently posted…Can’t decide on a specific boat? Here’s what you need to know. 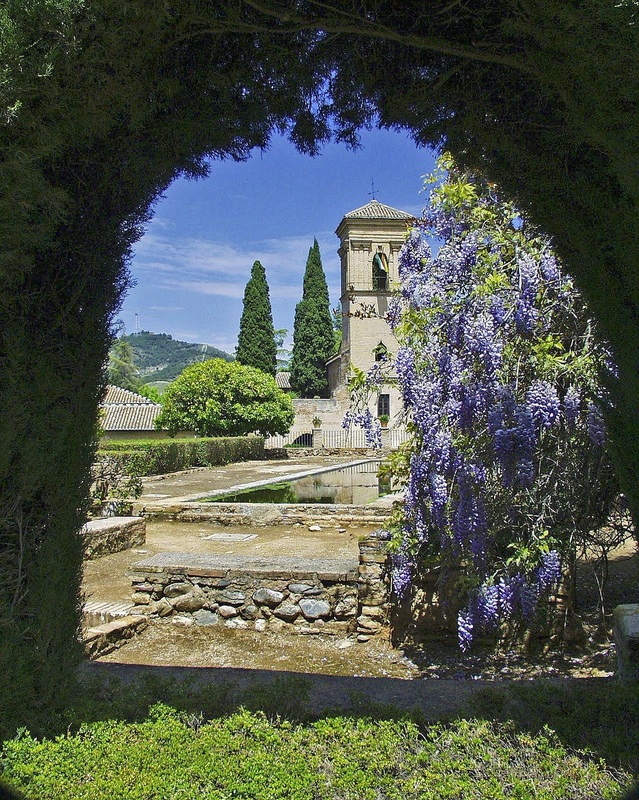 Spain is one of the most popular tourist destinations in the World. 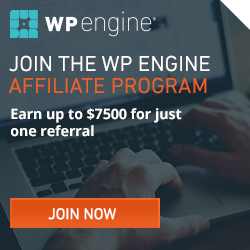 Thanks for Sharing this Blog post. Keep it up the Good work. great article and great information about spain and must visit places. there is a place called pawna lake there you can do camping it’s lots of fun. Great article i must say. I have heard about the tomato festival and your image is doing full justice with the evnt. I would just go back to Spain for the food and it’s much cheaper than France (where I live). I have been to Spain once with family, Its lovely place to be visit, The article describe Spain well. Spain is great tourism spot. Dubai City deserve to be visited.